HDFC Standard Life Insurance Co Ltd made a spectacular start on the stock exchanges on Friday, gaining almost 19% and bucking the trend of Indian insurance companies making weak trading debuts. Shares of India’s third-largest life insurer in the private sector started trading on the BSE at Rs 311, up 7% from the initial public offering price of Rs 290 apiece, stock-exchange data showed. The shares hit a low of Rs 307.65 and jumped as much as 27% to Rs 369 apiece, before ending at Rs 344.25. The BSE’s benchmark Sensex closed 0.7% higher after advancing as much as 1.2%, buoyed by Moody’s decision to upgrade India’s sovereign debt rating. HDFC Life had raised Rs 8,695 crore ($1.34 billion) through the IPO at a valuation of Rs 58,260.22 crore. It is now valued at Rs 69,159 crore ($10.63 billion). The insurer is the 32nd company to list on the bourses in 2017. Seventeen of the 31 companies which previously went public had gained on their listing days, stock-exchange data show. The positive start follows a successful IPO, with demand exceeding five times the shares on offer. Bulk of the demand was from institutional and wealthy investors. However, the retail investors’ portion remained undersubscribed. HDFC Life outclassed other insurance firms that recently listed on the bourses. ICICI Lombard had reversed losses to end with 3% gains on listing day. SBI Life Insurance had gained 1% on its debut. State-owned insurance firms General Insurance Corporation and New India Assurance had a weak debut following their mega IPOs. ICICI Prudential Life Insurance was the first Indian insurance firm to go public. Its shares had declined on the debut day. 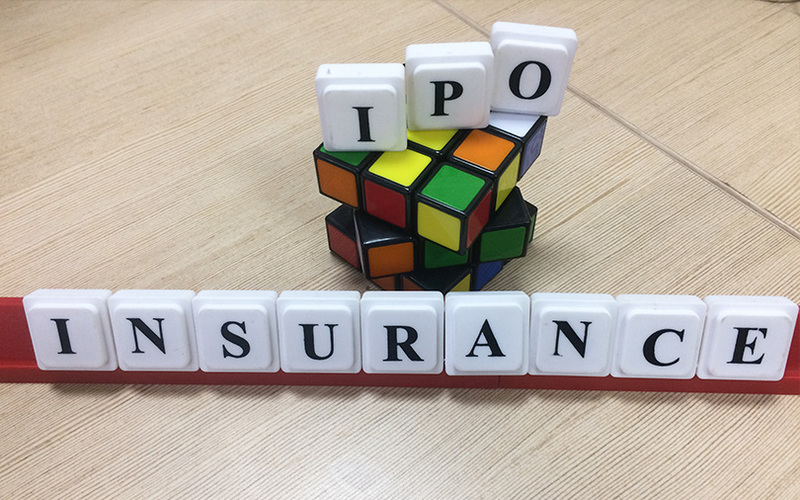 Deepak Parekh, chairman of mortgage lender HDFC Ltd, which is the parent of HDFC Standard Life, had earlier said that the issue was priced right and investing in insurance IPOs was a long-term bet. HDFC Standard Life had filed its draft red herring prospectus with the Securities and Exchange Board of India on 19 August, and had received the regulatory nod on 13 October. The IPO was set in motion after the company’s plans for a merger with billionaire Analjit Singh-promoted Max Financial Services Ltd hit a regulatory hurdle. Though the IPO was part of HDFC Life’s initial plans, it had subsequently considered a merger that would have resulted in the creation of India’s largest private sector life insurer with an annual premium worth Rs 25,500 core, surpassing that of ICICI Prudential Life Insurance. After the Insurance Regulatory and Development Authority had turned down the merger proposal, both companies had said that they would file a revised merger structure, but it did not materialise.